Fire Risk Assessments are methodical and organised investigations over premises and activities held within certain sites. The likelihood of fire occurrence is calculated, according to specific risk factors. Fire Risk Assessments should regularly be carried out to ensure human and premise safety. From Fire Risk Assessments, precautions are drawn to minimise the effect unwanted fires have. 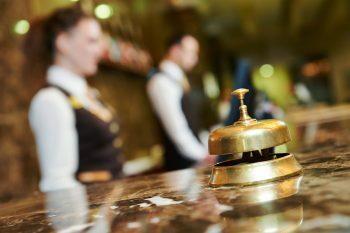 Are Hotels at fire risk? Yes. Hotels, hostels and bed&breakfasts are at great fire risk due to the increased people traffic and sleeping component. Fire Risk Assessments for the Hospitality Industry are following rigorous standards, ensuring fire risks are minimised and visitors can escape to places of total safety quickly and efficiently. A hotel Fire Risk Assessment purpose is to check fire safety procedures, fire prevention measures and fire precautions are all efficient and working accordingly, in an environment where new visitors are checking in on a regular basis. Global HSE offer complete Fire Risk Assessment services nationwide. We will visit your premises and following the Fire Risk Assessment we will provide you with a detailed written report. Contact us today to arrange your next fire risk assessment. © 2018 Global HSE Solutions Ltd. All rights reserved. Web design by Oaktree Web Design.